CORE is working with the resources sector to solve the challenges faced by the industry. Our flagship program CORE Skills will help industry upskill staff in data analytics. We're thrilled to see the interest and support for this program from the business and startup community. 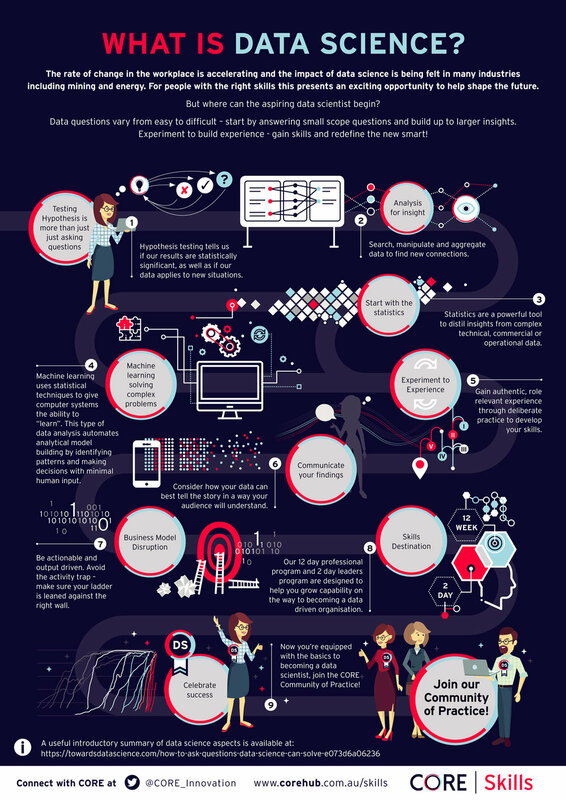 CORE Skills explains Data Science in this infographic produced for Data Science Week 2018. The growth in artificial intelligence, data science, and big data analytics has created a jobs boom. WITH the business of mining changing at a hitherto unseen pace, how do miners keep their workforce suitably upskilled? The increasing uptake of automation, artificial intelligence, and digital technologies in the resources sector has led Core Skills to launch a pilot program designed for mining and energy employees. 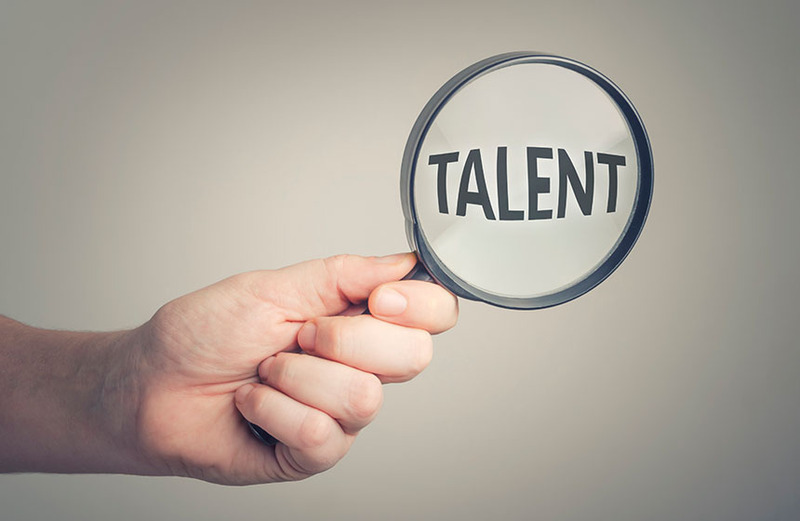 THERE have been concerns about an emerging skills shortage in the mining and construction sectors, but one thing that is keeping mining bosses awake at night is the looming talent shortage. THE CORE Innovation Hub in Perth is rolling out a pilot program aimed at boosting the data science skills of mining professionals and their leaders. CORE Skills has announced that Rio Tinto and ATCO will be foundation collaborators supporting its 2018 Geoscientist to Data Scientist industry skills pilot program. Rio Tinto, along with a number of leading organisations across the mining and resources industry, has joined forces to create an industry skills program designed to create “new value” through transformative content.